Peronalized autographed copy of the paperback edition of Hunter Equation. Ships to United States only. Rising To Greatness is a highly powerful and dynamic book that guides you through your very own process of transformation. 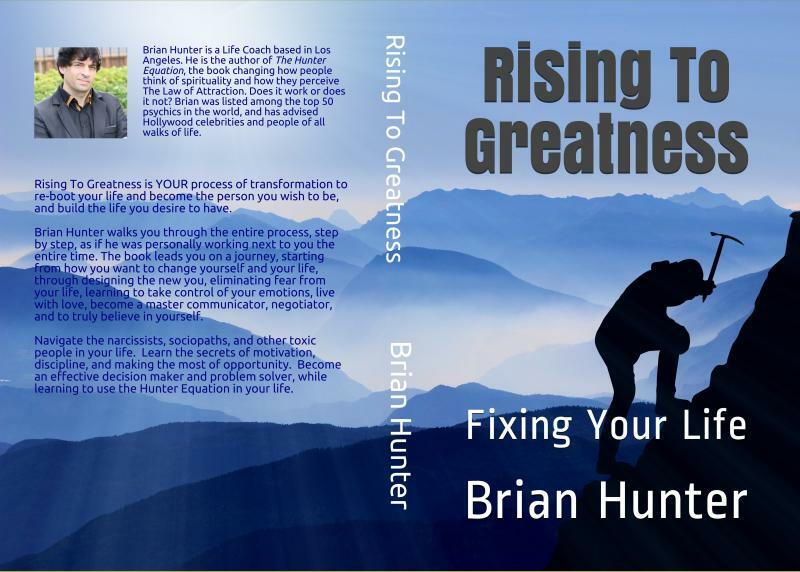 Rising To Greatness is essential reading for those wanting a second chance at life, re-booting their life, or recovering from traumas and setbacks. Currently happy and successful people will find many nuggets of use to improve their life, relationships, and success. The book is for people of all ages and is considered an owner's manual for all humans. Copyright 2009 Brian Hunter. All rights reserved.